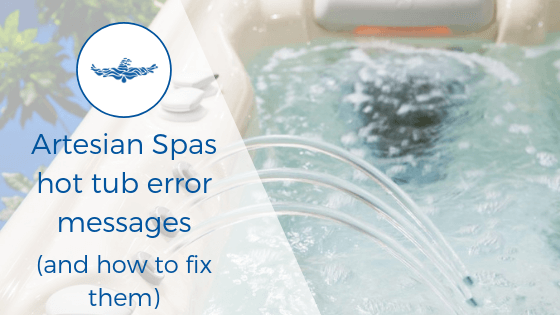 If you have an Artesian Spas hot tub, you might sometimes get messages or error codes on the hot tub topside screen. Some of these can indicate that you have a fault. Others will display operational messages to ensure optimal usage of the hot tub. Download the full owner’s manuals here. Knowing what these error and general messages on your Artesian Spa mean, can help you keep on top of any maintenance that is required. Alternatively, if something goes wrong, let your hot tub technician know what is showing and it will help speed up the repairs process if any parts are required. Artesian Platinum series has a range of General Messages. These are operation messages and will appear at the bottom of the normally used screen. They do not necessarily denote a fault, and may not require any action. They also have messages relating to the heater, sensors, miscellaneous, systems failures and reminder messages. Code 1 Possible freezing condition None. In some cases pumps and heaters may turn on and off. MO29 The water is too hot A water temp of 43.3 or more has been detected. Spa systems disabled. System will re-set once the temp is below 42.4 degrees. Check for extended pump operation or high ambient temperature. - Water level is too low Fill the hot tub up. Pumps and heater will stop when this shows. Will only show on a hot tub that uses a water level sensor. M016 Water flow is low None. Not enough water flow to heater. The heater will start back in 1 min. M017 Water flow has failed Fix flow problem. Heater is disabled until this problem is fixed. Then reset. M028 The heater may be dry The spa is shut down for 15 mins. Reset the message to restart the heater. M027 The heater is dry The spa is shut down due to limited water flow. Sort the flow issue then restart. M030 The water is too hot The water is over 47.8 degrees. Spa operation has shut down. May indicate a faulty sensor. Contact technician to replace and reset. M015 Sensors MAY be out of sync by more than 3 degrees Call a hot tub technician if this does not disappear within a few mins. - Communications error Call for service. The control panel is not receiving messages from the system. M022 Programm memory failure Call for service. This indicates a firmware error. M035 Hot fault Power hot tub down. Do not get in water. Hot tub technician. You may also get reminder messages on a regular schedule. eg. check pH, clean filter and clean cover. These do not indicate a fault. And will appear on a regular basis to remind you to do them, whether or not you already have. Artesian Island and Island Elite Spas use the same codes as Platinum Elite. ICE Possible freezing conditions No action required. All equipment will activate to stop components freezing. OHH Sensors have detected hot tub water above 47.8 degrees Do not enter the water. Remove the cover and allow to cool. Once cooled reset. If the spa temperature does not return to normal contact a hot tub technician. OHS Sensors have detected water above 43.5 degrees. Do not enter the water. Remove the cover and allow to cool. At 41.7 degrees the spa should reset. dr The heater MAY be dry due to possible inadequate flow Heater will shut down for 15 mins.Press any button to reset. If problem persists contact a technician. dry Heater may be dry. Due to low flow. Displays on third time of "dr" Spa is shut down. Will not automatically reset. Press any button to reset. SnS Sensors are out of balance If alternating with the temperature it may be temporary. If flashing alone the spa has shut down, contact a technician. IC Possible freezing conditions No action required. All equipment will activate to stop components freezing. HH Sensors have detected hot tub water above 47.8 degrees Do not enter the water. Remove the cover and allow to cool. Once cooled reset. If the spa temperature does not return to normal contact a hot tub technician. OH Sensors have detected water above 43.5 degrees. Do not enter the water. Remove the cover and allow to cool. At 41.7 degrees the spa should reset. dy Heater may be dry. Due to low flow. Displays on third time of "dr" Spa is shut down. Will not automatically reset. Press any button to reset. Sn Sensors are out of balance If alternating with the temperature it may be temporary. If flashing alone the spa has shut down, contact a technician. If you try these and they don’t work. Or if you have any problems you are unsure about you may need to contact a hot tub technician. 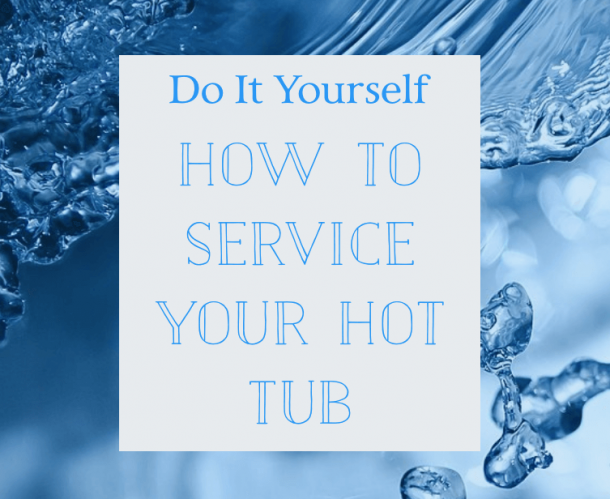 We are able to offer repairs and servicing on Artesian hot tubs. Knowing what your error codes and general messages mean will help you keep your hot tub running optimally. And fix any problems early. If you do have a code, and you need to call a technician, let them know over the phone or email what the code is so they can help as quickly as possible. If you have any other problems please let us know. How often should I empty my hot tub? Do I need to use chemicals in my hot tub?